Ending today (9/19) check out Vera Bradley Outlet and score an additional 30% off AND free shipping – no promo code needed as the discount is automatically applied during checkout. Note that you will need to enter your email address to access the sale. Now's a great time to stock up on Christmas Gifts and Teacher Gifts! 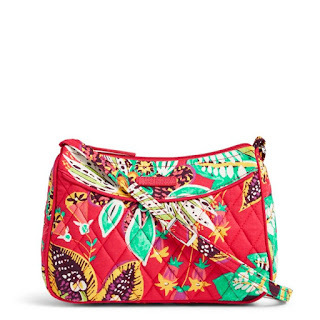 Check out this Vera Bradley Little Crossbody for ONLY $14 (Retail $34), ONLY $9.80 shipped after the 30% discount!